Christina Sumners: It’s science explained. 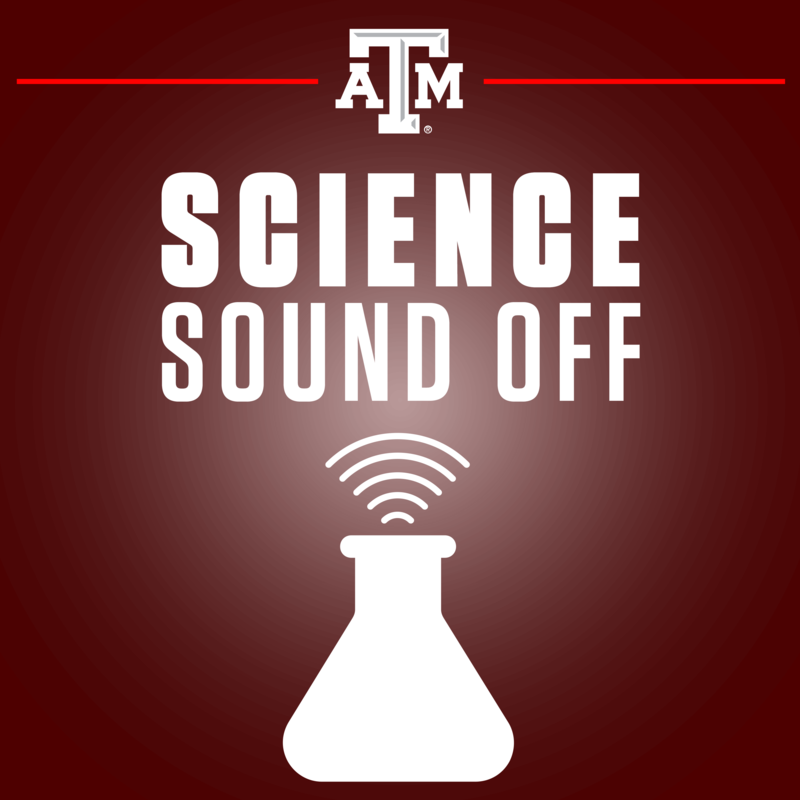 You’re listening to Science Sound Off on Texas A&M Health Talk. Welcome to Science Sound Off. I’m Christina Sumners. Christina Sumners: With us today we have Dr. Mark Benden, Director of the Ergonomics Center at Texas A&M, and a department head at the Texas A&M School of Public Health. Welcome to the podcast, Dr. Benden. Mark Benden: Well thank you, it’s great to be here. Christina Sumners: So, let’s just talk a little bit about your research. But to start off with, what is ergonomics? Mark Benden: Ergonomics is the study of how people work, and what we really are concerned about nowadays is kind of making our environment, our tools, our equipment, could be office space, ’cause that’s about 2/3 of our workforce now, but making all those things fit people, instead of having people struggle, and a lot of times develop problems and aches and pains and diseases, to fit things. And so we’d rather make it where it’s custom, and adjustable, and can adapt to the person, and work with them and any of their unique sizes or shapes or peculiarities, we all have those. So ergonomics is really concerned about that, and making sure that people can work for as long as they want, and we are all working longer now, that’s a economic reality, it’s also part of the fact that we’re living longer, which is a good thing. So we need to be able to make people comfortable, we need to make them productive, and safe. Christina Sumners: Interesting, and I know that one of the ways your research is working to do that is to help people have different options to sit or stand when they’re working. Mark Benden: Correct, we struggle with sedentary behavior nowadays, it’s really common that our, particularly our technology workers, I think all of us sitting here, today, unfortunately, would be subject to that, we tend to spend a lot of hours now in front of a screen of some kind, and we tend to do that at a very low level of physical activity, and so figuring out how to get us up and get us ambulating and moving, we were designed and built to move, it’s how we heal ourselves, we become stronger that way. When we sit around too much we become weaker, and it’s a real challenge for our modern society to get us moving more. Tim Schnettler: And you mentioned workers, but I know y’all’ve taken this to a different level and you’ve started at it with the younger generation, and as a kid who grew up obese, tell me a little bit about things you guys have found out or things you can do to help youth nowadays. Mark Benden: Yeah, it’s very critical, and I know it sounds terrible as if we’re kind of giving up on the adults. We’re not giving up on the adults, but we recognize that the reality is we have to start younger. The habits that most of us have as adults, we formed when we were young, and when you look at young children below school age, they are extremely active. I have locally here a three-year-old and one-year-old grandson, and if I were to try and keep up with them for probably about 30 minutes, it would be the world’s greatest CrossFit workout ever. I probably wouldn’t make it, but you know, the thing is we’re so physically active when we’re young and out of school, and once we get in school, we’re told by teachers and of course our environment to kind of sit down, sit still, be quiet, don’t move, and it’s mainly to facilitate the learning process as we understand it should be today, but it’s also to help the teacher just with discipline and order in the classroom. So what we’re finding now is that children don’t naturally do that, we have to kind of force that upon them, and they would prefer to move. They would prefer to be active, and so if we give them the option, and we give them an environment where they can still learn productively and effectively, but they can ambulate, they can move, they can change positions throughout the day, it’s actually better for them, and it will set them up as adults so that unlike all of us, they’ll have the ability still when they’re our age to move and ambulate more. Tim Schnettler: And a lot of that is done by use of a standing desk? Tell us a little bit about that. Mark Benden: We have been using standing desks, that’s a really great proxy because it creates an environment much like a bar, now we’re not advocating bars for children, but it really is a great proxy because when we go into that environment that’s designed for standing, we’re automatically on our feet. If we become fatigued, we can take a break from standing and walking and ambulating and we can, you know, have a seat somewhere on a bar stool or something like that. If you think about your kitchen at home, whenever you have guests over, you end up gravitating towards that environment. And when you’re in that environment in the kitchen for a social gathering of family and friends, you’re almost always standing. Mark Benden: And at some point when you move to another room in the home, like for instance the living room, you end up sitting, and it’s because those two rooms are designed differently. One is designed for work and standing, and one is designed for sitting. And so we can still design spaces for working, even in our office environments and our schools, where we’re upright and where we’re moving and where we’re ambulating. One of the studies we did at a local high school, at the holiday break we took the traditional seated desks out, and we put in standing desks. And when we did that, we came back in the spring and we measured with wearable monitors how much time kids were spending sitting and standing, and I was glad to see that they were sitting less, of course you would hope for that, because you just put in a standing environment, but they had stools and they could sit as much as they wanted, in fact they could sit on the stools all day if they chose. But what we found was not only was the standing time significantly more, so they were up on their feet more, but they took about 2,500 steps more per day. Now over the course of a week, that’s about five miles of extra ambulation that those students were getting. We would hope that students that age, you know, the high school age, than an extra five miles isn’t very much, it really shouldn’t be, they should all be getting in more than 10 to, you know, really even 15,000 steps a day at that age. What we found was that some of them, that was double the number of steps they were taking. Mark Benden: So it was a really significant physical activity intervention for something that doesn’t cost very much money and is really easy to do, even at the break between semesters, and something that doesn’t disrupt class and felt, in fact it was helping teachers manage the classroom. So, yeah, I think it’s a great proxy. It’s one of many ways we can intervene in the classroom or the office, but it’s a very helpful one. Tim Schnettler: Well not only that though, I mean, they probably didn’t even realize that they were walking these, or taking these extra five miles in steps, right? Because it’s not something that they’re consciously doing. Mark Benden: Correct, just like if you went to a dinner party this evening and you spent time at your friend’s kitchen, and you hung out, you probably wouldn’t realize that you had been on your feet and had ambulated more. You would have just been at a social setting, a social gathering, and so we don’t really detect that when it’s in small doses and small bursts. And that’s really if you look back historically, what we’ve lost as a people is we’ve lost the small kind of puttering, if you have some older family members you might notice the putterers, and they’re older right, they’re in their 80s and 90s because there were putterers. I have a 98 year old grandmother on my mom, on my wife’s side, and you know, she’s 98 and yet when you ask her about all those organized sports she participated in, that would be zero, how about—How about all the gym workouts she attended? Never was a member, right? What about just exercise, you know, how many treadmills and bicycles and abdomicisers did you have when you were, you know, our age, right? And the answer would be none. But she’s always been a putterer. She’s always been physically active. She’s constantly in motion, and for 98 years, she’s been constantly in motion. I don’t think most of us will be able to say that when we, hopefully we’ll make it to 98, right? Mark Benden: I don’t know, we’ll see, yeah. Christina Sumners: So you mentioned that these standing desks can actually help with classroom management. That kind of goes against people’s intuition that maybe if kids can stand and move around that would make them less able to learn and to focus. So what has your research found on that? Mark Benden: So we’ve looked at this two different ways. One is the cognitive research on the brain, trying to understand through what’s called functional near-infrared spectroscopy or fNIRS, fNIRS is a proxy for MRI, it takes a look at oxygenated hemoglobin flowing through the brain, we can look at different regions, one of those regions is the prefrontal cortex. We can understand about focus and attention and alertness. And when we do that with kids that are sitting and standing, we see that increased focused and attention. Now we can also take that kind of show on the road and get outta the laboratory and go to the classroom, and we get in the classroom, we can observe and watch what’s happening with the children. Some children, particularly a lot of little boys, are very hardwired that they need kind of a brain and body connection. They need movement, and without that movement, without that fidgeting, without that wiggling and squirming, that a lot of times we as adults associate with, kind of, being off task, they’re unable to get on task. And so if we kind of disallow them to do that, they really struggle with the attention. If we allow them to move, to wiggle, to ambulate, to be upright, they can dial in, they can focus on the work. In fact a lot of those children that are diagnosed with something like ADHD or ADD, they will start referring to it as my desk. And they do that because they feel, they sense that item’s ability to help them regulate. They want to stay on task, they want to behave, they want to stay with their peers and focus and not be a distraction to the teacher and the rest of the classroom, but they struggle with it. And so when we give them something like this where that environment allows them to stay on task, it’s very helpful for everyone, including of course the teacher. Christina Sumners: Interesting, and so you also mentioned, they’re getting all these extra steps. Is that actually helping them stay physically fit, and not contribute to the obesity problem in this country? Mark Benden: So it’s a real challenge, and of course you know, childhood obesity is a big issue. Just to kind of illustrate that point, if you look back to the 1960s when I was born, children born during the ’60s had a, in the U.S., had a one in 4,000 chance of developing type 2 diabetes. Mark Benden: So that’s not too bad of odds, you think, okay, one in 4,000, I’ll take that chance. Today, children being born in the U.S. have a one in three chance. Mark Benden: So it’s a staggering difference, and of course the biggest burden of why we’re developing type 2 diabetes at such a higher rate is, in fact, obesity. And this inactivity that comes, that produces obesity, you know, we do struggle as scientists, there’s a lot of causation versus correlation discussions even amongst our peers, and, you know, did you become obese because you got this disease, did you get type 2 diabetes for instance because you became obese? There’s a lot of debate and discussion but what we can’t debate or discuss for any longer and we have to start taking action is kind of the outcomes and the consequences, and they’re very real and they’re happening all around us. And so how do you affect BMI for children, for instance? BMI has kind of gotten a bad rap, no one likes to talk about it on an individual level, and I kind of agree with that. You know, I don’t really want to know my BMI, or hear your BMI. No one wants to talk about their own BMI. And one of the reasons for that is that it’s not necessarily the greatest indicator of health. However, at the higher levels, particularly the obese and the severely obese, and definitely the morbidly obese, when we see those kind of BMI levels, we do see changes in people’s health biomarkers, so their cholesterol, their A1C levels, we see challenges with their blood pressure, and all of those types of biomarkers, once those start going in the wrong direction then we see the chronic disease. So how do you affect a child on the obesity scale or the BMI scale? One of the things we did for two years was we installed the standing desks in classrooms in elementary schools, different classrooms, some with, some without, and we monitored children for two years, and we watched their BMI. Now if you know anything about children, their BMI should be going up. So they should start out as a five year old for instance with maybe a 10 or 12 BMI, and they should end up as an 18 year old with maybe an 18 to 24 level BMI. So it’s normal for that to increase. Mark Benden: What’s not normal is for the slope of that trajectory to be very steep. We don’t want it to go from 12 to 15 when they’re very young to 30 when they’re coming out of high school. So if you are, for instance, in Texas, a 13 year old who is already in the obese BMI level, you have an 85% chance that that’s going to be your BMI level as an adult, or even worse. And so it’s really incumbent upon us to start early, start young, help ’em stay active, help ’em keep moving, whether it’s after school, or in the classroom, or at home, but we really need to work on our approaches. And a lot of that unfortunately ties back to parenting as well. And we have bought in as parents, that there’s some terrible force of nature or some bad person waiting out there for our children, so instead of kicking ’em outside like my mom did, to get out of the house and go play, you know, we let them, we allow them to sit inside in front of some kind of a screen, and unfortunately it’s become our nation’s babysitter, and so we’re really struggling with this as a country, for how to encourage parents to allow outside play, outdoor play, movement, activity, you know, regularly. And it’s a struggle, there are a lot of competing things and competing concerns and worries and interests. But we are certainly at the point where we understand that not doing something is not a good option. Tim Schnettler: So we’ve talked about the benefits for youth. Is it a lost cause for us adults? Are there benefits for us, or am I too far beyond? Mark Benden: Do I have a lie detector hooked to here right now? It is a struggle for adults, and it’s really, really tough for us to turn it around. I think if we’re serious, right, the man in the mirror type of analogy, we really have to come to grips with the fact that this is a significant lifestyle intervention that we need for adults, so we have to change, 24/7, the way we think about health. We can’t just rely on what I call sick care, which is diagnostics and treatment. Mark Benden: And by the way, if you’re sick, the United States is the greatest place to come, or be, to get diagnosed or to get treated, but if you would like to stay well, if you would like to prevent chronic disease, the United States is a tough place to live. Unfortunately our lifestyle and our food, both the quantity and the type, highly accessible, very inexpensive, and in great quantities combined with low physical activity, is just a recipe for disaster for our human form. So how we get people to change all of those things and it includes sleep, sleep is a really significant health issue in our country, we’re not getting enough quantity and enough quality sleep, that’s a big deal for us as Americans. One of the reasons is the little blue lights blinking everywhere and the devices going off. The text messages, and snappy chatty grams, and whatever else comes in. All of those things are really combining to take a toll. So it’s a big question, I would love to sit here and say, yeah, of course we’re not lost causes, we can all be redeemed and fixed, but really if I’m being honest, the best we probably can hope for as adults is that we come to some sort of stasis, we sort of maintain, we don’t get worse. That would be an amazing win. Most American adults, during their working career, they gain two to five pounds per year during their 30 year working career. So if you do the math, anywhere from 30 to we won’t say, 100 plus pounds during their working career, so you know, if you are on the one pound per year gain, and you come out of college or high school at a reasonably normal weight, you’re probably looking at a retirement where you can still be active and healthy and not have a lot of chronic disease. But if you are on that two to four to five pound average per year, even if you only did that for a decade or two, the health consequences long term for you, you are literally shortening your life expectancy. So if we could get adults to just kind of maintain, we don’t need yo-yo dieters, we don’t need everybody binging on this or that, and this new craze, or taking this new pill, or eating this new caveman food or whatever it is, we’re all, you know, every day it’s something else, usually out of California. But we don’t necessarily need those things, what need to do is kind of maintain where we’re at and maintain that level and not continue to grow horizontally. That would be really big for the adults, if we could do that, so, yeah. Christina Sumners: And it’s about, it’s not just about spending an hour in the gym, it’s about throughout the day, keeping these things in mind. Mark Benden: Right, and we’re finding now we even have a term for it. We have the phenomena of the exercising couch potato, and so the exercising couch potato is basically the person who hits the gym, you know, three to four days a week like they’re supposed to, according to the government recommendations, and they get in their 30 minutes of cardiovascular on the treadmill or swimming or whatever they’re doing, bicycling, spin classes are popular. And then they come home and they lay on the couch and watch T.V., binge Netflix on the weekends, and then they sit at work, you know, on their bum for the entire 40 to 60 hours of work, and we really find that those folks are not showing the benefits that we would hope. And the reason is because so much of the rest of that waking hours they spend, the other time during the week, is really inactive, really sedentary. In fact, our wearable devices are very sophisticated that we put on people to track this kind of stuff, and they have a hard time differentiating between you sitting at your desk at work and you asleep at home in bed. The physical activity levels are really close, they’re about the same. And unfortunately when you’re sedentary and upright, and awake, you’re not getting the restorative benefits that you get from being fully reclined and sleeping. So there’s some challenges for us as adults and again, it’s that ugly conversation with that person looking back in the mirror that you have to have, but they’re very real as far as the health outcomes if we don’t turn this around. Christina Sumners: So, from your research for office workers, are stand optional desks effective at helping to get people moving? Mark Benden: So we’ve recently begun looking at a couple of different types, and so one of the reasons is that when you do these interventions, you have to also go back and find out if, in fact, they work. And when we put in one of two types, either a stand biased work station, which is like your kitchen counter I described, or a bar, versus one that’s called sit to stand, and so those are electric usually nowadays, they basically at the push of a button, you can go from seated in your chair, to standing at your desk and continue to do your work. They are great for ergonomics, they’re very adjustable, so that’s nice. You can fit a wide range of people and make them comfortable no matter what size or shape they are. But the struggle is, believe it or not, we still have to do something. We still have to take action, we still have to push the button. And so it’s the same thing with the gym that’s down the hall at work, right, and you walk by it every day on your way in and out of the office, and you don’t go in. You don’t use it. A lot of this comes back to behavior. We have to choose to use that device. So when we look at sit stand devices on the marketplace today, they’re becoming very common, very widespread, in fact they’re almost an expected work benefit for a lot of the younger generations. And so when you look at the effectiveness, we have to ask, how often do people push the button when so equipped? So we’ve been doing that now for two years, we’ve been tracking about 900 workers between California, Houston, and even 500 in Australia. And we’ve been looking at these workers electronically to see with the electronic desk connected to their computer and tracking software installed, how often do they use it? How often do they really, because when you ask people, people lie by the way, when you ask people, how often do you use your electric desk to sit and stand, the answers come back with something like this, oh all the time, oh I love it, it’s great, oh lots of times. And then when we walk around and we look in the offices, they’re unplugged, the surge protector’s been tripped, they’re not, there’s a dust line on the wall, there’s pictures that would be scraped off if they ever moved it up. And so the reality is, a lot of ’em, we found, in our research, over half of those equipped never push the button. Mark Benden: So when you look at that and you say, okay, over half are not doing at all, how ’bout the other half? Well, they’re not doing that much better. There’s very low percentage of those people that are occasionally or infrequently using the desks, so participation is low. So one of our questions was, with so many of these out there, could we impact behavior through the electronic devices, which some would argue are part of the problem, and the answer is yes. So we put computer prompts in, we did this for months, and months, and months, and we watched as people were receiving prompts through their computer screen to take a break from sitting. Or, if they’d been standing for too long, to take a break from standing. So in other words, to change positions, to move frequently, and the long and the short of the story is that the computer prompts work, and they work over time, they do just like the sit stand desk, when they’re first put in they work really well the first month, and there is a little bit of a drop off, but the levels maintained by workers using computers equipped to remind them to take a break and change their body positions, they do sustain, they are better with the computer prompts. So it seems like we might need some electronic help, some nudging, that little electronic whisper in our ear to kind of help encourage us to do things. You know it’s also very situational, so for instance, I mentioned the gym down the hall at work. If I’m at work and it’s about 9:00 a.m., and I’ve been there grinding out, maybe I just came from a stressful meeting and I’m busy, and suddenly my electronic assistant says, hey Dr. B, it’s time to take a break, why don’t you go down to the gym and work out? I’m kind of angry at it, a little bit annoyed, ’cause first of all I have a meeting at 9:30, I can’t possibly go change out, get sweaty, work out, do my thing, right? It’s very inconvenient. And so we’re probably in a lot of our things today, a little bit at that electronic hourglass kind of level, sort of an unsophisticated, uneducated, uninformed level of reminder, the egg timer. But what these newer devices are able to do now, is they can figure out your schedule. They can know when the timing’s right. So if I was on my way out the door, I had a tough day, there was an opening for the next two hours of my schedule, and my device knows I’m gonna go home and watch Netflix for two hours, right, with my microwave T.V. dinner or whatever, so if that’s the case, then that’s the right time to give me a nudge and say hey, it’s right there, just hang a right, right, that’s the good time for, okay now, yeah, I guess I’ll stop. I need to do that, right, I know I need to do that, and there’s no other reasons or excuses in my way and now’s a great time to remind me. So these devices, probably over the next five to seven years will become more and more sophisticated. It’s a little scary, right, it’s a little Orwellian for us to think these devices are listening to our conversations, I hate to tell you all, they’re already doing that. Mark Benden: They’re figuring out what’s happening with the people around us, they’re listening not only to what we say, but how we say it. So my voice tone and intonation and inflection, how excited I get, right, on a certain topic, that matters to these devices and they’re starting to be able to pick up on that, so as these patterns develop and emerge, these devices will understand when I’m stressed. They’ll realize when I’m upset, they’ll realize when I’m angry. They’ll be able to do this through a number of different types of interfaces, whether it’s eye tracking, emotional recognition of facial features, temperature, we can use temperature, we can watch the upper lip, for instance, cools, you sweat, your upper lip perspires, when you get nervous, when you get up in front of a group or give a speech or do a radio interview. So how’s my, is my lip—But a camera, an infrared camera can pick up on that blue cooling of your upper lip, it should normally be red under the camera if you’re just in a normal state, and all of a sudden your device now knows you’re stressed. Well again, that might be a good time for the device to not bug you or bother you, right? It could be, for some people, it is exactly the moment where they need an intervention, right, before they have a meltdown. And so there’s lots of different ways that these devices, 24/7, I know it’s creepy but even while we sleep, will monitor us, and keep track of us, and as they do that, the very things, because we call this bigger area of research technology induced inactivity, right, the technology has allowed us and even encouraged us to become very inactive to the point where people like Pixar with the humans in WALL-E, right, they’re worried we might all end up looking like the humans in WALL-E. Well, if we continue down this path we probably would, but I think what’s going to happen is, the devices themselves that have probably triggered a lot of this will, in fact, become a big help for us to turn it around so it’s not all bad. Tim Schnettler: But again, you can give people all these capabilities but it still goes back to making that change, correct? Mark Benden: It does, it does, and it’s a behavioral challenge for us and we have been in this conundrum for many years, whether it was to do with getting people to stop smoking, or you know, any other type of abusive behavior, whatever it happened to be, any lifestyle disease, which is kind of again the larger classification of these types of things, we’ve really struggled with this. It’s interesting historically too, you know, if you go back 100 years and you take a stroll down the avenue in a busy city and you notice a very portly gentleman coming down the other side. You could easily, easily stereotype that gentleman as having wealth. And the reason was, 100 years ago, if you had the ability to become that overweight, you had money, you had access to food, you had people, right, you had help. People did stuff for you. You didn’t do all the physical labors of that day, of that age, right, you weren’t the one doing those things. You were relaxing, you were living a life of leisure. So with good food in ample supply, and people doing your stuff, you were able to become overweight. Well today, we’re struggling because our society has flipped that, you’re more likely with low socio-economic status, to become overweight or obese. And one of the reasons is that none of us anymore, not just the wealthy, none of us need to do a lot of physical things for our acts of daily living. Mark Benden: But people who are well-educated understand that they’ve got to eat right, so they have access to that first of all ’cause that costs money, to eat right, to eat well, and they have to move, they have to be exercise, they have to do those things. And they’re able to spend money to play, physically, right. And so we’ve really turned that around and it’s a big challenge facing our society. We risk leaving a group of low socio-economic Americans behind on this health trampoline that we’re bouncing on right now, if we don’t figure out how to address this as a society. So, lots of big questions. Christina Sumners: Well thank you so much for being with us today, this has been fascinating. Mark Benden: It’s my pleasure. Christina Sumners: And thank you so much for joining us on Science Sound Off, and we will see you next time.